Lead Me – Don’t Manage Me! One of the most heated conversations we had in the MBA program at Elon (ranked #1 part-time program in the USA) was over the value of management versus leadership. One of our courses was in organizational leadership and many of the younger students did not enjoy the finesse and nuances of the subject matter. They wanted to stay in the realm of concrete, numbers driven topics wherein there is a clear cut “right” answer. Leadership, for people who have not held positions with substantial responsibility, is challenging to describe, pursue, evaluate, and articulate. Management, on the other hand, was easier for the cohort to articulate in terms of metrics and definitions that met with consensus. 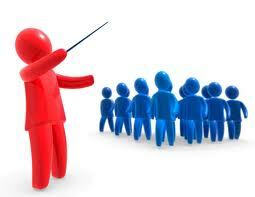 Whether in class or on the job, very few people want to be managed per se, they would prefer to be led. Managing is a process better applied to resources rather than individual people. Even in our home lives, when we are trying to get our children to do the right thing, it is incumbent upon us as parents to inspire them to make good choices. Inspiration is one of the key results of leadership. Stewart’s commentary reveals a gap in thought leadership. Many Millenials are misunderstood because Boomers think that they are too revolutionary and almost insubordinate. That’s because many in management are not leading them; they are trying to only tell them what to do. My experience with the younger generation is that they are in search of authentic leadership. How can we individually and collectively make a commitment to leadership? This is a great point between the important differentiation between management and leadership. I believe that some of the bosses I enjoyed worked under most were leaders not managers. They created a positive environment where we wanted to do our best work because it was contributing to a clearly defined goal. 3, These processes are what need to be managed: the people are crying out to be LED.